Oakland, Calif. — Aug. 9, 2018 — (OTC PINK:SCIL), a leading SaaS service provider that delivers neuroscience-based educational technologies, today announced that it has released its unaudited financial results for the second quarter of fiscal year 2018. Details of the quarterly results can be found at https://www.otcmarkets.com/stock/SCIL/disclosure. Concurrently, the company announced that Jeffrey D. Thomas has assumed the role of CEO replacing Robert Bowen, who will continue to serve as Chairman of the Board of Directors. Thomas was named co-CEO in February after serving as the board’s Lead Independent Director. Before joining Scientific Learning, Thomas was involved with several private-equity backed education companies in CEO and executive chairman positions. He served for over 11 years as CEO of the Ambassadors Group Inc. and six years as president and CFO of Ambassador International, both publicly-traded, educational travel companies. Bowen, who has served as Chairman of the Board since 2002, stated that as the company implements its strategic shift to focus on the large and rapidly expanding English language learning market, the time is right to hand the reins to Thomas. Based in Oakland, Calif., Scientific Learning is a leading SaaS service provider that delivers neuroscience-based educational technologies. 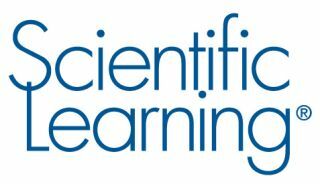 Scientific Learning’s programs have been used by more than 2.8 million learners in more than 2,600 K-12 schools in the United States, by over 500 private practice clinicians, by thousands of students via a direct-to-consumer channel, and in over 55 countries via value-added resellers. The company’s Fast ForWord® programs cross-train foundational language and cognitive skills necessary for rapid English language development, while Reading Assistant™ uses speech verification technology to provide real-time corrective feedback to students as they read and speak, in a manner similar to that of an individualized language and reading coach.